The student debt crisis has reached epic proportions, with an estimated 44 million borrowers in the country now owing over $1.3 trillion in student loans. But like other financial issues in the United States, the burden of student debt isn’t shared equally. Women hold nearly two-thirds of student debt in the United States, according to a new report by advocacy group the American Association of University Women (AAUW). Analyzing data from the Department of Education, AAUW determined that the hurdles that women borrowers face are three-fold. From the outset, women make up slightly more of the college student population than men, or around 56 percent of those enrolled. Once in school, women then tend to take out larger student loans than men who do so. “On average women take on more debt than men at almost every degree level and type, from associate degrees to doctoral degrees and across institution types,” AAUW says. Upon earning her bachelor’s degree, the average woman owes $2,740 more than the average man, the report says. Then, those same women enter the workforce, where they face the ever-persistent gender pay gap. That means that women have less disposable income to pay back their loans. The AAUW report shows that racial pay disparities have also bled into the student loan crisis. When analyzed by race, the AAUW found that black women take out more in student loans than any other group. And, as previous research has shown, black women earn just 63 cents on the dollar compared to the average white man. For Latina women, that figure is 54 percent. That means that black and Latina women, already taking out student loans at higher rates than any other group, then struggle much more to pay the loans back and are more likely to default. While the AAUW generally advocates for ending gender and racial pay disparities, their latest report specifically calls for universities and student aid offices to be more proactive in informing and helping students avoid unnecessary loans. 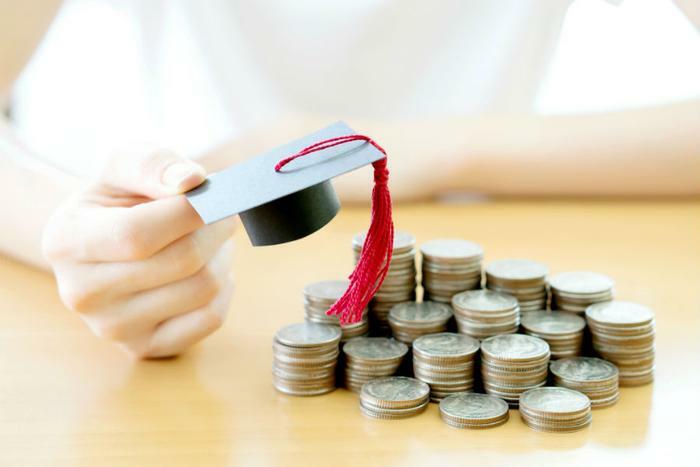 “The objective is not to dissuade students from borrowing if loans are needed but to keep them informed about their debt and how to manage it after they leave college,” AAUW says.